Chai Lai Orchid is a small grassroots social enterprise, but we are part of a bigger family. Below are all the wonderful people working behind the scenes to make your stay amazing and support the community through their roles at the Chai Lai Orchid, Chai Lai Sisters Trekking, Daughters Rising and the elephant camp whose property we rent. Alexa founded Daughters Rising to empower vulnerable women in Northern Thailand. Together with her husband Bay she runs the Chai Lai Orchid Eco-Lodge to generate funds for Daughters Rising and provide a safe place for young women to live and learn valuable work- and life-skills. Alexa: Favourite food: tacos. Favourite place: Thailand. Favourite movie: I haven’t seen a movie in years - ironic seeing as I used to work in the film industry! Bay: Favourite song: I only like Burmese music from the 70s. Hobby: swimming and fishing. Having graduated from our Daughters Rising hospitality training program and learning English in only three months (!!) Nukul decided to train to become a guide and open her own tour company, Chai Lai Sisters. It was the first company to be run by ethnic minority women here in Northern Thailand! All of the tours advertised here are run by Nukul’s company and her homestays are hosted on her family’s farm. Favourite food: Giant shrimp. Favourite movie: I love action movies! This year’s best moment: Meeting my beautiful son, Ray, and introducing him to his big brother NuNu. 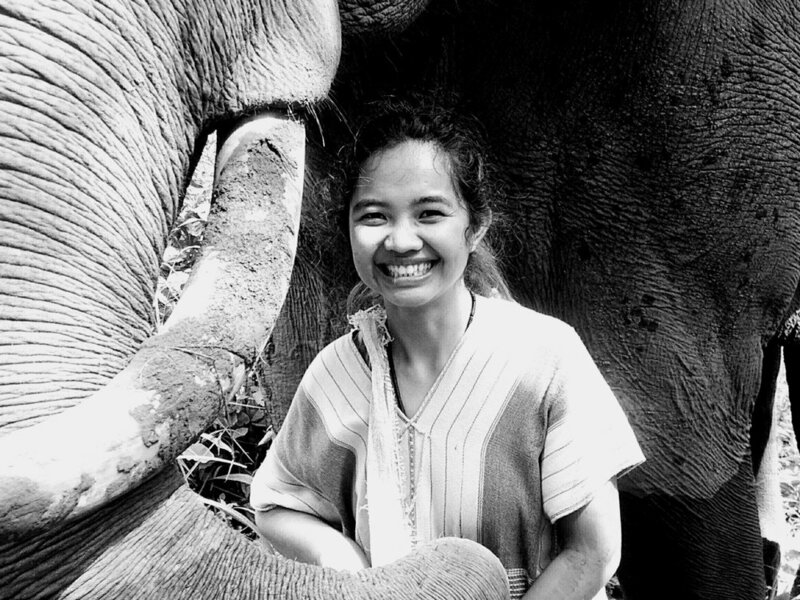 The elephant camp’s head mahout, Ling has been working closely with elephants for 10 years. He refers to Suki, the youngest elephant, as his ‘daughter’ - which tells you a lot about his relationship with them! Hobby: Karaoke. Favourite food: Barbecue and beer! Dream destination: Home. Minnie has been with us at Chai Lai for a long time! She started off as a Daughters Rising hospitality trainee but decided to stay as long term staff after her program ended. She has incredible hair and makeup skills and everyone agrees she is the most fashionable staff member. Hobby: Hair and makeup. Secret skill: Shopping Ninja. Big dream: To be an office administration assistant. Pa Kae is the most playful mahout. He loves to play with the elephants and show off to his guests. Hobby: Working out. Goal: To learn Chinese and go to China on holiday. Jan is an entrepreneur. As well as learning about hospitality in our training program, she has a small lucrative side business selling sportswear in the local market! Favourite Song: Where did I go? by Jorja Smith. Favourite movie: I love going to see romantic comedies with my boyfriend. For five years, Fran volunteered remotely for Daughters Rising and, since she was working as a teacher, visited Chai Lai in her school vacations. This summer she finally made the move to Thailand to help Daughters Rising on location. Favourite movie: A Knights’ Tale. Dream destination: Bhutan. Big dream: To expand Daughters Rising in other countries, starting new social businesses offering retreats and homestays and working with new vulnerable communities. Popree came to Thailand along with Mu Chit and has been part of the Chai Lai family ever since. Cool, calm and collected, Popree can always be depended on to keep everything in the cafe running smoothly. Passion: Cooking. Hobby: Any sports! Hope for the future: For peace in Burma so that I can go safely home. Po grew up in a small village in Mae Hong Son, but like many Karen young people, she moved to Chiang Mai to learn and work. Currently she is studying for a university course Public Administration at the weekends. Wants to work at a Thai embassy abroad. Big dream: Study, get a great job, and support my parents. Best moment of last year: Good health. Favourite movie: Nan Jin. P Lah has been a guide for almost twenty years! He is known and respected by everyone in this area as a really excellent guide. His favourite trek is the Karen Wisdom trek, where he takes guests to learn about how Karen people live - harvesting rice, cooking, and using the resources of the jungle. Proudest moment: Any time I do something good. Favourite song: Country music. Favourite food: I like finding food in the jungle. Mon is the best barista in Mae Wang. He saves our lives daily by delivering hot cappuccino from across the bridge! Hobby: Playing computer games and modifying my motorbike. Favourite animal: My Chihuahua. Dow is on our Daughters Rising hospitality training scheme. She is our most determined learner of English and often stays behind after class to keep revising! She is motivated to improve her career so that she can provide a wonderful life for her young son, Pho. From Shan State in Burma, Lurn came to Chai Lai on work experience through our Daughters Rising Mentorship Program, to learn how to run a homestay. She is an amazing manager and has a very sharp eye for detail. Lurn is also very sporty and puts the rest of us to shame whether she is doing yoga, boxing or running! Favourite food: jumbo shrimp. Big dream: To stay with my family, not to be apart from each other. Hobby: Relaxing and listening to music. Golo, once she graduated from the Daughters Rising training program, trained as a guide and helped to set up Chai Lai Sisters Trekking. Having studied Agriculture at university, her plan is to make a medicinal garden and teach travellers and Karen youngsters how to live in harmony with nature. 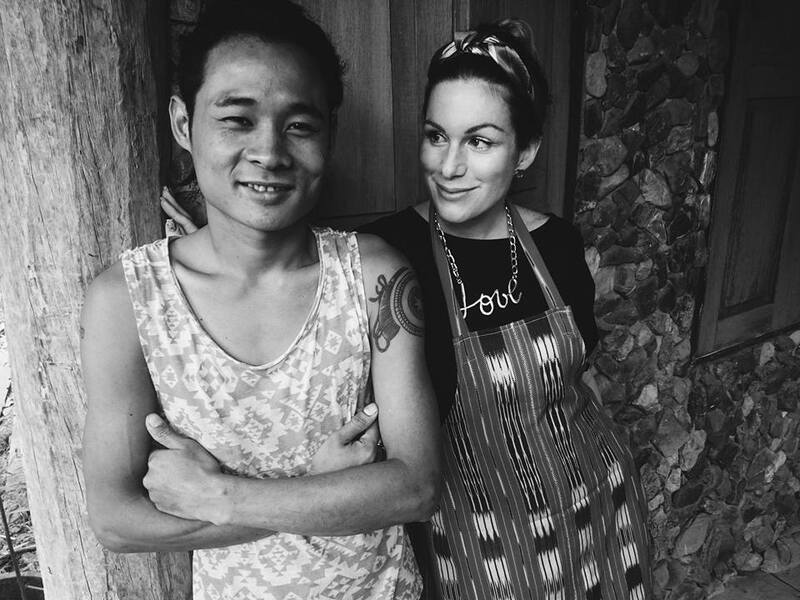 She is now heading up the development of our Chai Lai Farmstay. Favourite movie: The Frog and the Princess because the girl in the movie works so hard for her dream. Favourite season: Rainy season, because everything looks fresh and beautiful and summer is too hot! Dream destination: The other side of the world - maybe South America. P’ Mai is a local healer who knows all about how to use natural medicine to restore good health. She is also an incredible massage therapist and luckily for us, she decided to work at Chai Lai full time. All of us and our achey backs are very grateful for her! Highlight of the year: starting to work full time at Chai Lai with my friends and learning English! Big dream: fix my house and enjoy my family. After being a monk for ten years, Zen wanted a change of pace. He worked for a few tour companies before ending up with Chai Lai Sisters. He is always ready to dispense some life advice along with his information about the local area. Favourite book: Freedom by Osho. Dream destination: Hawaii. Dream career: Police special forces SWAT team. Pabo is Karen and is our youngest staff member. He loves football and for his first Christmas present ever, received a full football kit. Now you can spot Pabo by his lime green football boots as he follows Seavoy around the Chai Lai property. Zakai came to Chai Lai Sisters from the Elephant Jungle Sanctuary in Phuket but he has worked for several companies as a guide. He returned to his home turf because he missed the natural environment and the slow life! Favourite song: Gep Tawan. Hobby: Reading, running, and playing football. Big dream: Travel the world. Favourite flavour of ice cream: Coconut. One of the students on our Scholarship program, Seng is currently studying in Bangkok. She is incredibly determined and has overcome many obstacles to fight for her dream to study. In her spare time, she is learning communications and PR through Chai Lai. Who inspires you? My grandmother. Hobby: Singing. Dream: To help my family achieve THEIR dreams. Mook has been the trainer for Duang Dee ever since she was born. When he had to go to do National Service in the army and DeeDee was temporarily looked after by another mahout, Mook used to come back at the weekends to visit her. Favourite music: Romantic ballads. Hobby: Hunting and fishing. Big dream: To finish building my house in my village. 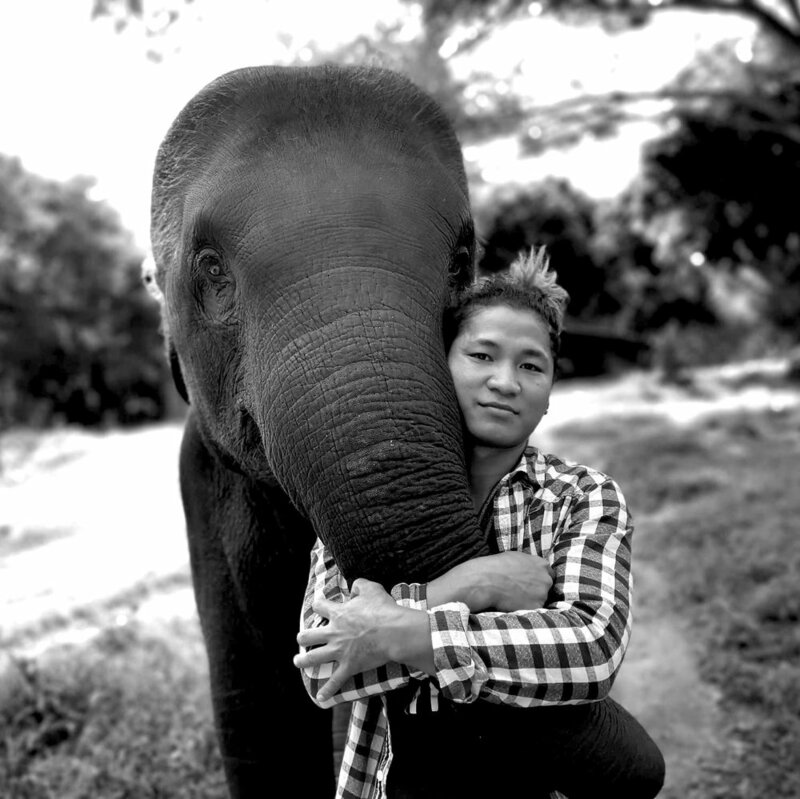 Starting as a grass cutter working for the elephant owner, Wah Shee showed himself to be totally dependable and an all-round great guy, and was swiftly promoted to mahout status by the elephant owner. He takes care of naughty Taeng Mo and is the only mahout she’s ever paid serious attention to! He is also lucky enough to be newly married to our fabulous Mu Chit. Favourite food: Spicy chicken. Big dream: To go home to Karen state and build a house and a family with his beautiful wife. The only twin on the Chai Lai staff! Charlie is a Chai Lai Sisters guide and always has glowing reviews. Cool and calm, he is a walking dictionary and knows everything there is to know about elephants and life in Northern Thailand. Charlie is also to become a dad very soon - exciting! Favourite book: Harry Potter. Dream destination: New York or Las Vegas. Favourite sport: Soccer - I support Liverpool! Big dream: I want to own my own elephant. New was working as a care assistant for elderly people before moving to the Chai Lai Orchid. She has one young daughter and is a really amazing chef. Not only can she cook our delicious Chai Lai menu, she makes delicious Karen comfort food every day for our staff too. Favourite food: Pumpkin. Hobby: Walking in nature. Dream for the future: Just to be happy - to have a peaceful, happy life and a happy family. Fighting in Karen State drove Mu Chit to flee Burma and seek safety in Thailand. She started on the Daughters Rising hospitality program but when Alexa had her son, asked to be his nanny. Now, she continues to learn part-time and spends the rest of the time looking after her favourite boy! Mu Chit recently married the lovely Wah Shee - the highlight of our 2018. Lon has spent most of his life as a rice farmer, but realised that working as a guide is a great way to provide for his wife and young son. Working for Chai Lai Sisters is his first job as a guide! Favourite music: Thai music. Favourite food: Local rice with chilli. Favourite moment of this year: Whenever my son joined me on my treks. Like Zen, Thep was a monk for several years before deciding to work as a guide. Thep is from Tak but loves living and working in the Chiang Mai area. Favourite food: Sushi. Big dream: become a millionaire and make a foundation to help others. Hobby: Traveling and meeting new people.